THE CITY PLANNING COMMISSION VOTED UNANIMOUSLY TO GRANT OUR APPEAL! THANKS TO EVERYONE IN THE COMMUNITY WHO CONTRIBUTED. 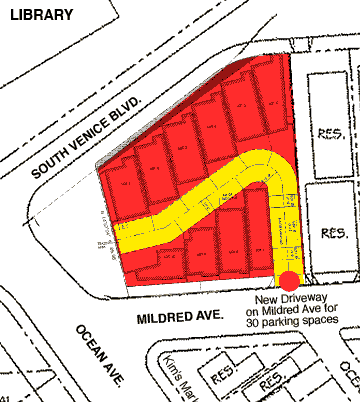 You’re in the right place if you’re concerned about the proposed plans for a 15-unit development at 522 S. Venice, which will add a new driveway for 30 cars on Mildred Ave. at Ocean Ct. (right near Kim’s Market). Residents have almost unanimously opposed these plans due to the added dangers of the driveway on a hazardous stretch of Mildred Ave., the lack of adequate setbacks off of public land, the extreme height (much taller than any homes in the Silver Triangle or Washington Way. ), and the extreme density of the plans. The Venice Neighborhood Council has also voted unanimously against the development (the city of L.A. doesn’t seem to care). This property has fenced in a strip of public land on Venice (the city has failed to act on it), and the plans include giving this land to the developer. 2) Write an email today! 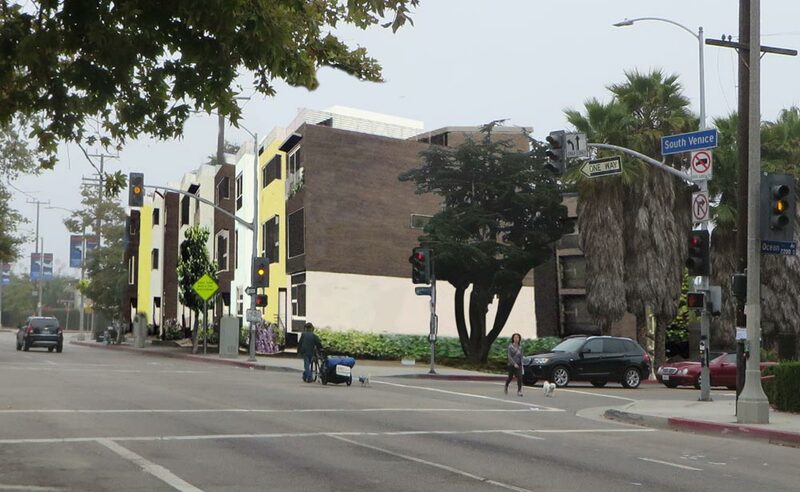 1) Appeals Hearing for 522 Venice Blvd. – NEW DATE! 2) Write an email voicing your concerns. We’ll have more details at this website in coming weeks, and perhaps organize a bus (or two) to help take people to the hearing (the parking is very difficult near the building). Note that the location is only about 3 miles from Venice! Ian is in the process of filming all the cars and bikes that do not stop @ stop signs @Mildred & McKinley he is in one of the townhomes there and today again as we were backing out on to Mildred someone not only did not stop but went around our car & nearly hit us. This is an on going problem. There are too many incidents to mention but all the traffic as it is makes it difficult to drive, walk or have pets and children on the sidewalks. We will be at the meeting on Tuesday & already sent letters to the city.What is the email I need to get your updates, forgot sorry. This is so important. I applaud those brave souls fighting this development. The City should note that the higher density development that has been allowed further east on Mildred is really in a much different traffic zone than this property. The speed bumps that start virtually right in front of this project on Ocean are a clear indication that the City is aware that the traffic congestion and safety here have reached maximum capacity. The developer should not be allowed to use other higher density development on Mildred to the east as representative of this site! Restaurant Coming into our Residential Area?